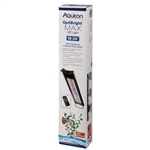 Aqueon OptiBright MAX LED Fixture 18-24"
Appropriate for Planted Aquariums (w/ low to medium light plants). Consult the Planted & Fish Only Aquarium Lighting Chart to determine the best light for your aquarium. 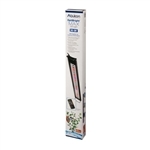 The slim, low-profile Aqueon OptiBright MAX LED Fixture, 18-24", features LED lighting ideal for freshwater or marine fish-only aquariums, and aquariums with low-med light level plants. The MAX is 50% brighter than the Plus version. 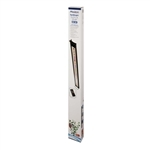 Aqueon OptiBright MAX LED Fixture 30-36"
The slim, low-profile Aqueon OptiBright MAX LED Fixture, 30-36", features LED lighting ideal for freshwater or marine fish-only aquariums, and aquariums with low-med light level plants. The MAX is 50% brighter than the Plus version. Aqueon OptiBright MAX LED Fixture 48-54"